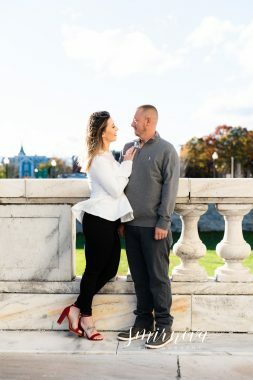 It was such a windy but beautiful fall day in New England. 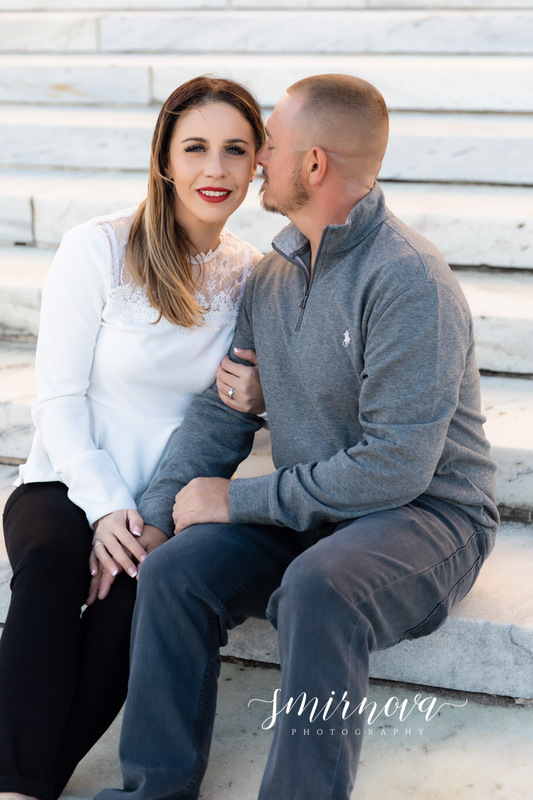 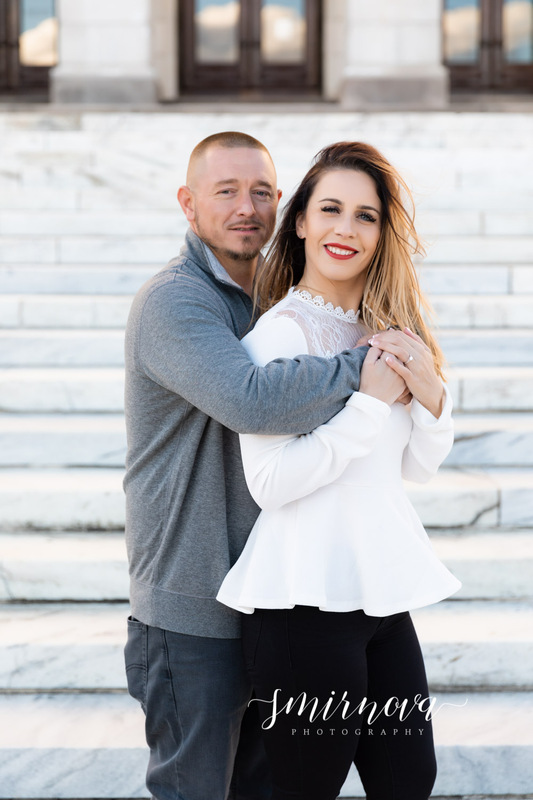 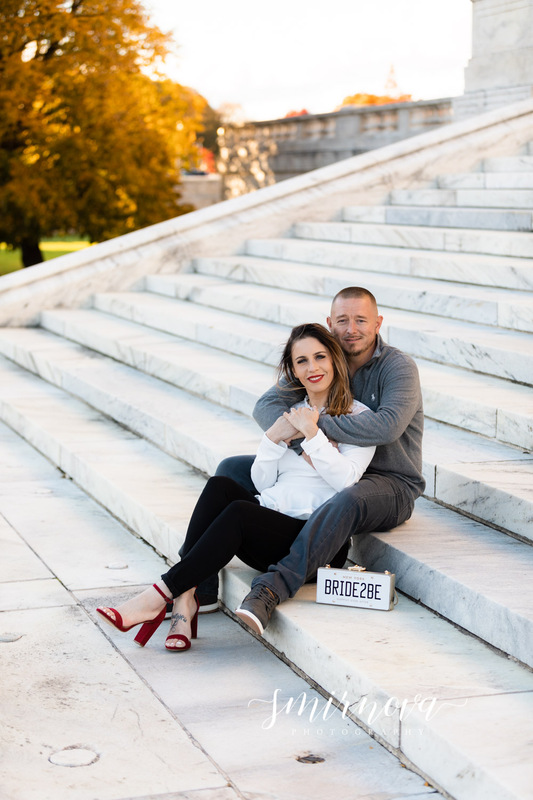 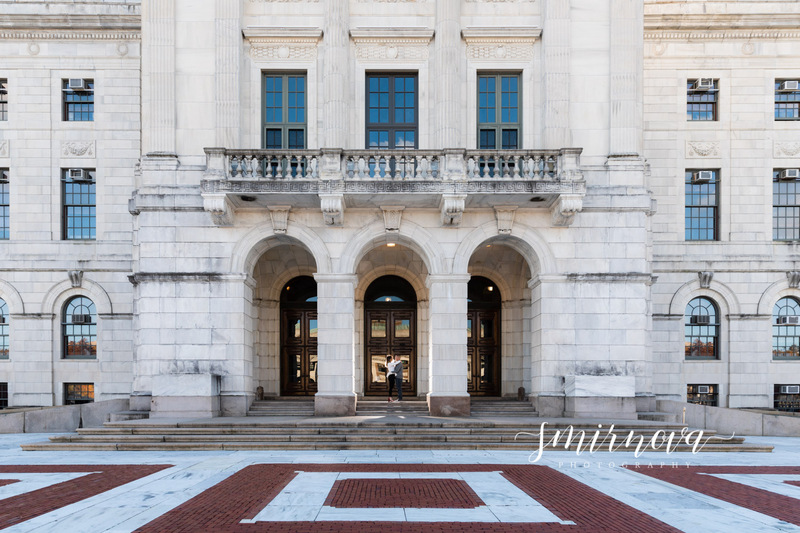 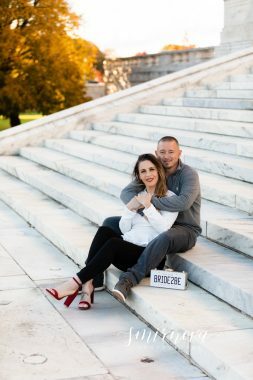 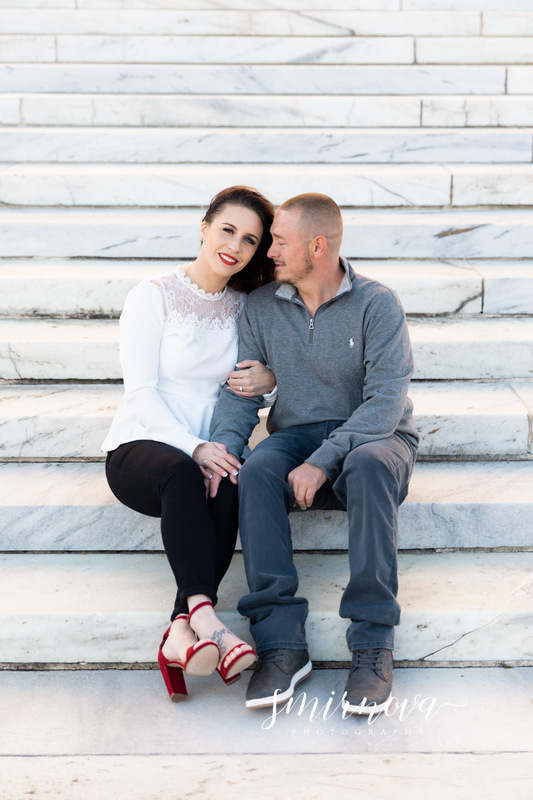 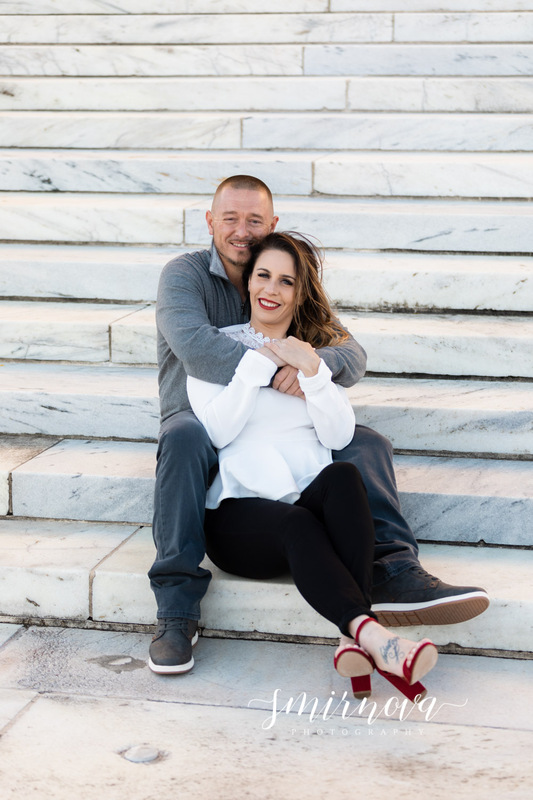 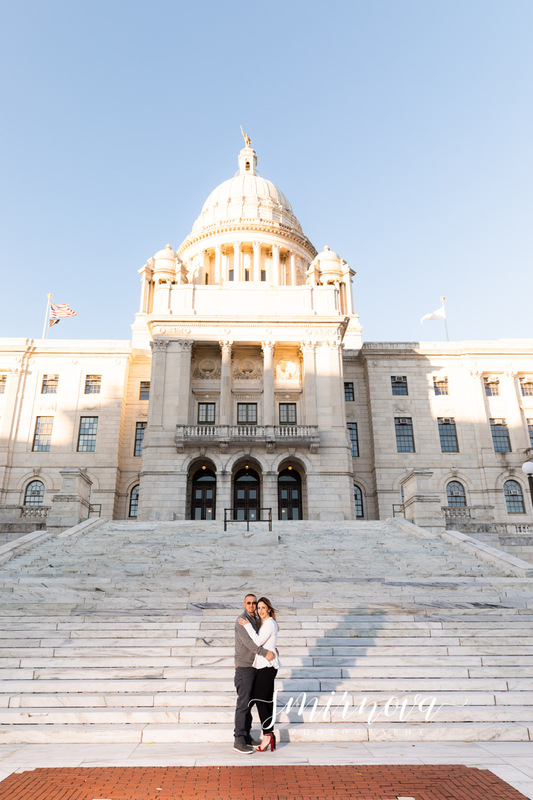 This couple loves the look of light and airy photos so the marble and stone at the Rhode Island State House was their first choice. 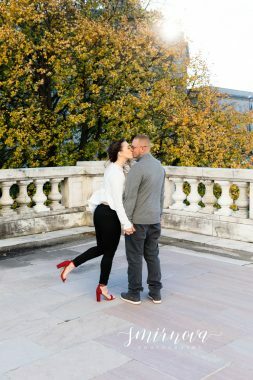 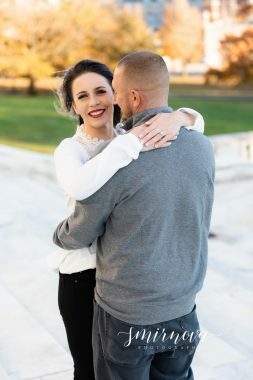 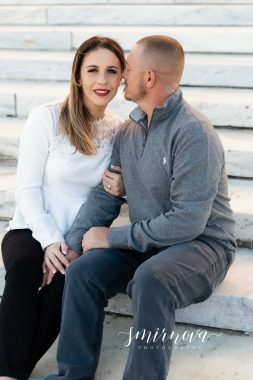 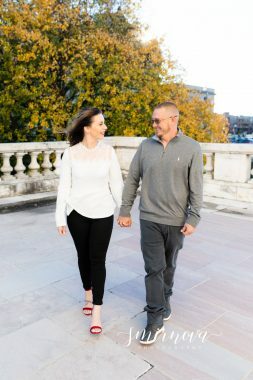 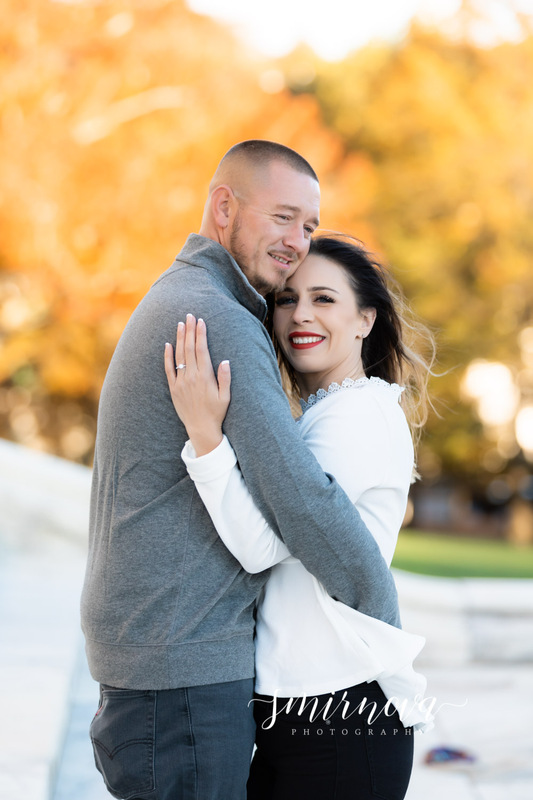 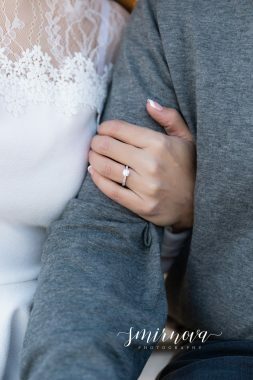 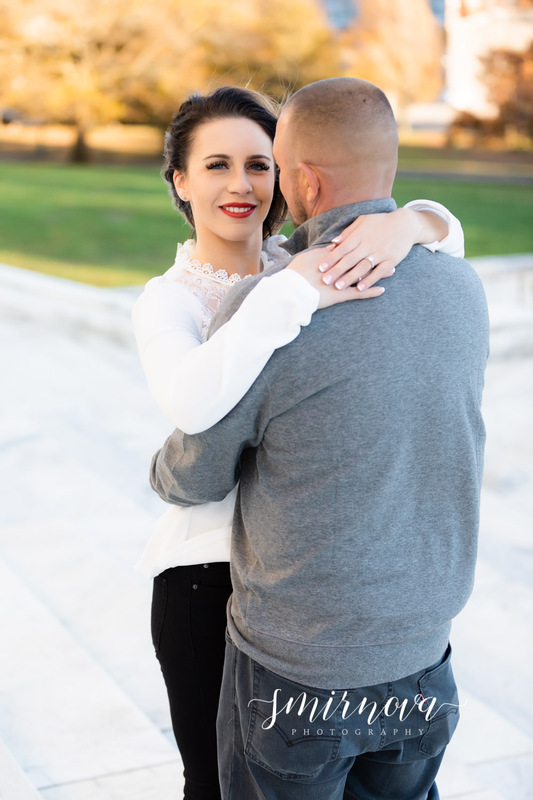 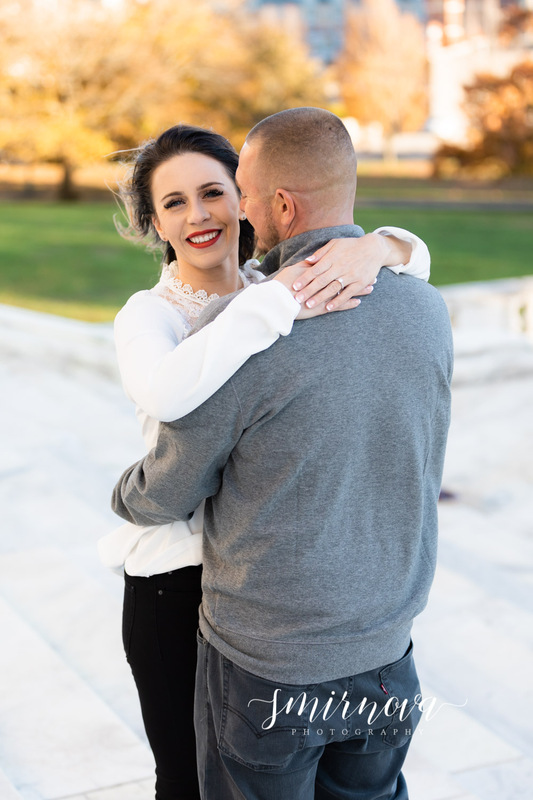 It was such a great location, especially during sunset so I would recommend a Rhode Island State House Engagement to any couple looking for a similar look. 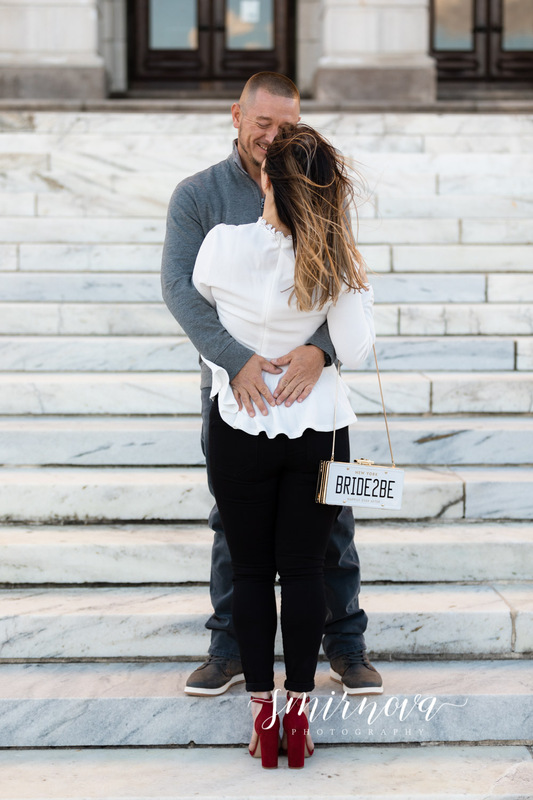 The Bride 2 be had the vision of her wearing red heels and carrying the adorable Kate Spade “Bride2be” clutch for her engagement photos and I’m so happy they turned out amazing! 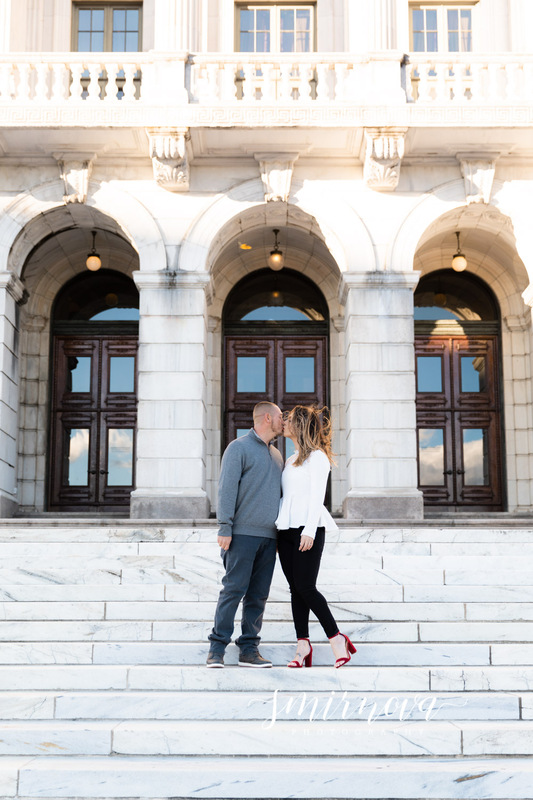 They’ve already booked me to photograph their wedding next summer and I couldn’t be more excited to see them walk down the aisle.